Have u seen all episodes of 'I Dream of Jeannie'? What mistakes bothered u most? Do u think Tony looks like Drew Seeley? de keuze van de fan: NO!!! In the episode The Mad home pagina Wrecker (1969), there is a monstrous "sculpture" gegeven to Jeannie as a gift. It loudly gurgles, burps, and wretches. Who on the TV toon voiced those awful sounds? I love I Dream of Jeannie, but there are so many discrepancies! One that always stuck in my craw was Jeannie's origin. What discrepancies bothered you? Why was Roger the only wearing a green uniform? Why did Major Healy pass out after Tony punched Jerry Querry in the boxing ring on The Strongest Man in the World? 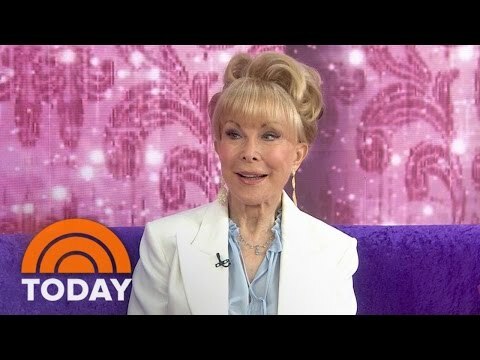 I found a site with a crazy idea for an I DREAM OF JEANNIE reboot! I DREAM OF JEANNIE IN MY OPINION IS THE BEST CLASSIC TV toon EVER! I HAVE ALL 5 SEASONS ON DVD AND I WATCH THEM ALL THE TIME! I NEVER GET TIRED OF WATCHING IT! EVERYTIME I WATCH I DREAM OF JEANNIE I LAUGH AND LAUGH!! IT IS SUCH A GREAT TV toon IF U ARE INTO GENIES'!!! I LOVE THE CHARACTERS AND ACTORS OF I DREAM OF JEANNIE! MY favorieten ARE LARRY HAGMAN(MAJOR ANTHONY NELSON), AND BARBARA EDAN(JEANNIE NELSON)!!! THEY HAVE GREAT CHEMISTRY AND THEY MADE A GOOD COUPLE! IM GLAD THEY FINALLY GOT MARRIED IN SEASON 5!! Name the episode: Is There A _____ in the House?